Dubbo Christian College 141 Sheraton Rd, Dubbo NSW , NSW, Australia. Enjoy an evening of music and hear the SYO State Central West musicians perform! Hear and see the results of workshops with local musicians in our SYO State Showcase. 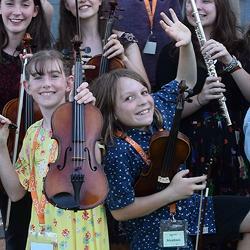 Young musicians from Central West NSW wil join with Sydney Youth Orchestras to perform music rehearsed in workshops throughout May and June.